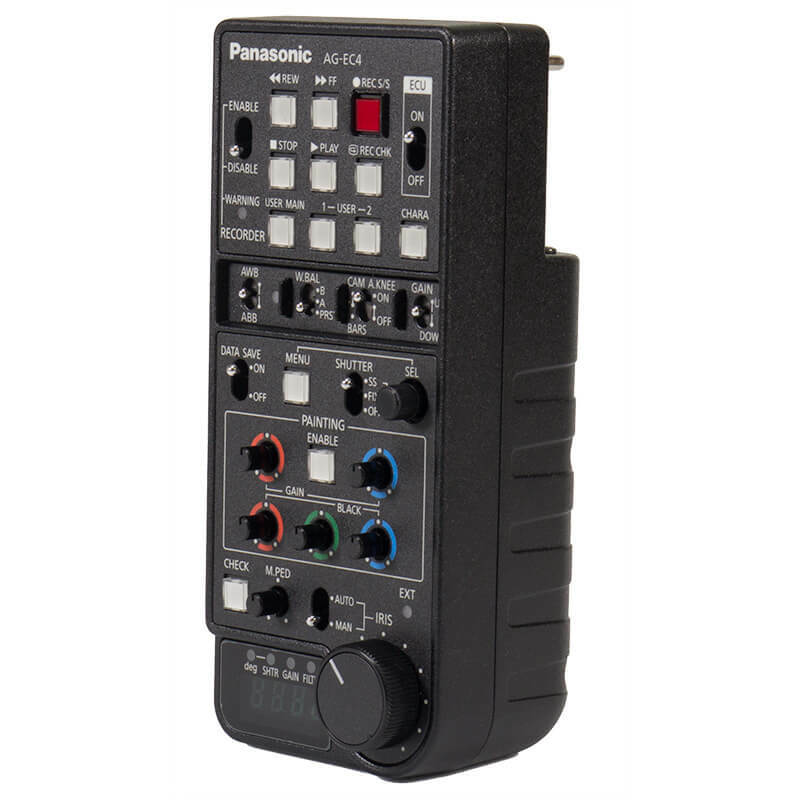 In addition to providing remote control of the AG-BS300 Base Station, the AG-EC4G can be connected directly to a camera-recorder*4 for control use. The maximum length of the remote control cable is 164' (50 meters). The AG-EC4G is both compact and light at 1.4 lbs (630 g). 32' (10 meters) remote cable is bundled. The AG-EC4G is part of a Camera Studio System. The AG-EC4G extension control unit provides remote control of the base station and can also be attached directly the camera for control use. 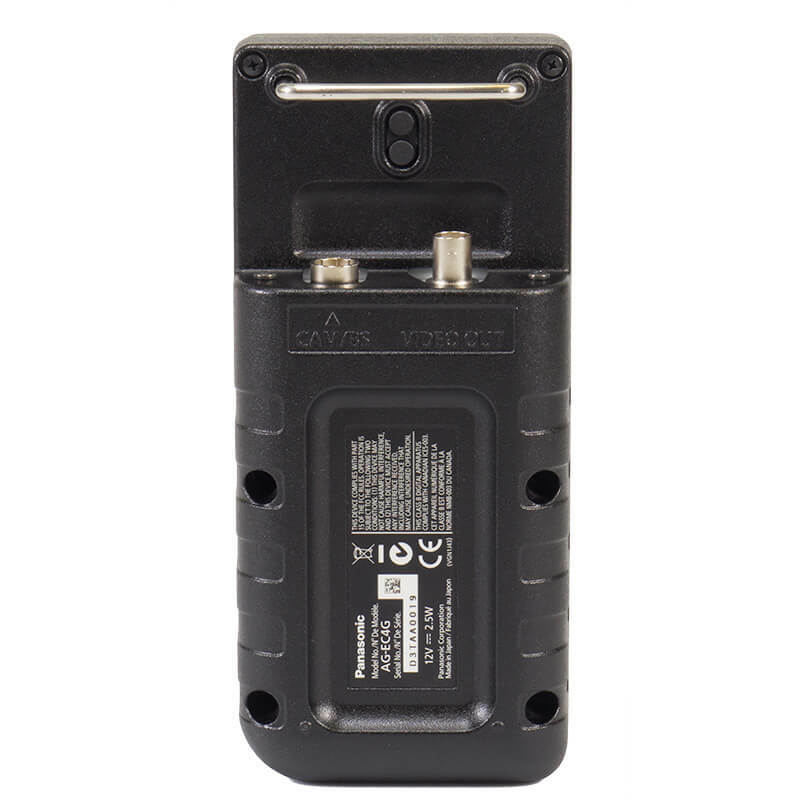 It comes standard with a 10M remote control cable, but the unit can operate from distances up to 50M with longer cables. Control functions include gain up/down, output camera/bar selection (linked to auto knee), white balance A/B/Preset selection, AWB/ABB execution, shutter SS/Fix/Off selection and speed setting, iris auto/manual selection and adjustment, master pedestal, painting, camera menu operation, recorder operation (Rec/Play/FF/Rew/Rec check) and three programmable user buttons. Users can save camera settings onto SD cards for later use or to load into another camera.